For an elegant inspired look embrace the classically caged style Fairfield table lamp from RV Astley. 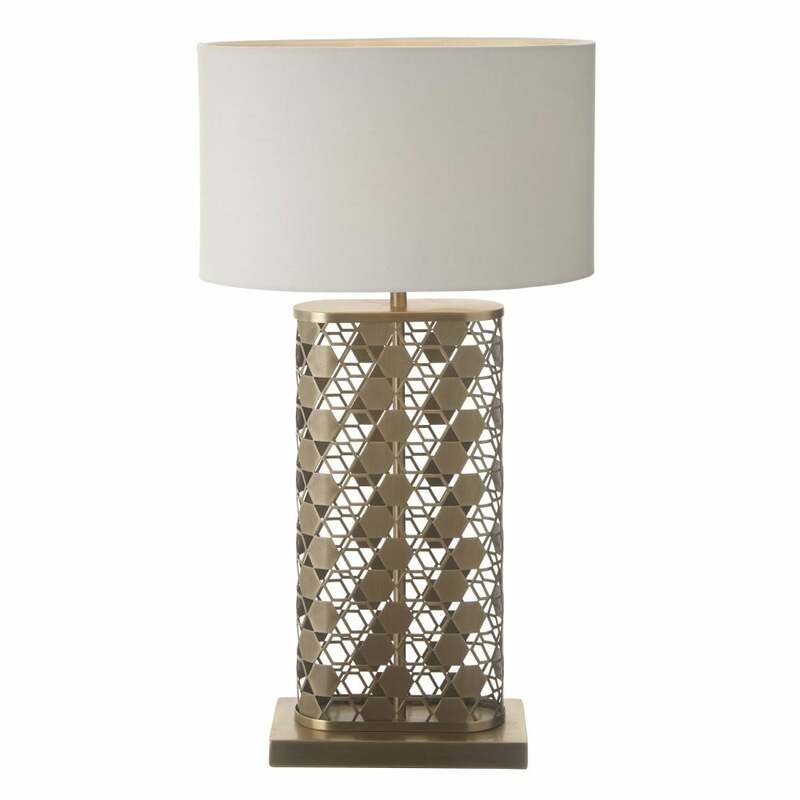 The ornately symmetrical caged base features hexagonal detailing for an art deco inspired look. Constructed from an on trend brushed antique brass a golden wooden plinth supports the intricate base it sits atop. Extending upwards, the base reveals a luxurious cream drum shade which perfectly complements the geometric design. Style in a pair within the bedroom for an opulent effect. Bring beauty within your living room by combining alongside complementing brushed metallic.